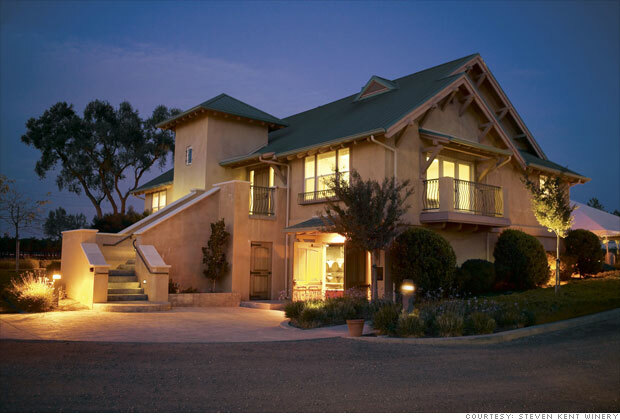 Where to visit: Livermore, Calif.
Wine tasters who want to sip a Steven Kent wine don't have to go to a Ritz-Carlton to do so. They can also be tasted at the tasting room located in the East Bay, about 20 minutes from Oakland and 45 minutes from San Jose or San Francisco. Owner/winemaker Steven Kent Mirassou, who established Steven Kent Winery in 1996 with his father, makes wines that frequently earn 90-plus points from Wine Enthusiast, including a 2007 Cabernet Sauvignon that earned 95 points last year. Visitors can sample a flight of these wines inside a beautiful stucco building located near the vineyards where some of the grapes, such as Malbec, Sauvignon Blanc, Cabernet Sauvignon and Petit Verdot, are harvested. Pinot Noir grapes come from esteemed wine regions like Sonoma's Russian River Valley and Santa Lucia Highlands.